Wondering how to lose belly fat? 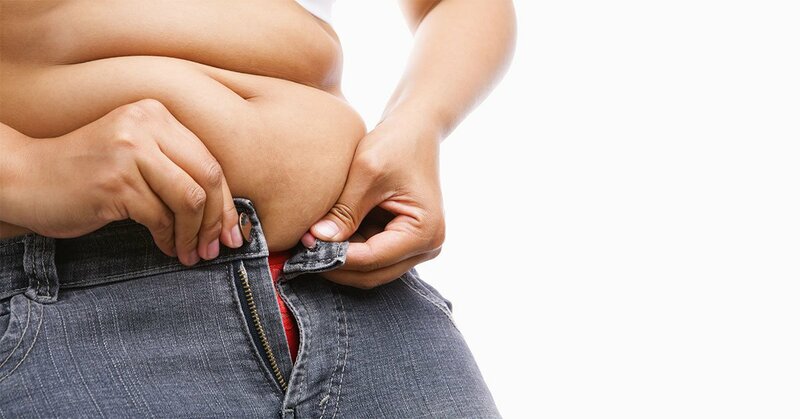 Belly fat contributes to the development of high blood pressure, Type 2 diabetes, and risk factors for heart disease. Piling on a few extra pounds around the middle is a vicious cycle of insulin resistance and easy weight gain. How do you break that cycle? You can lose belly fat by exercise. Exercise is important not only for the calories you burn during your workout, but also in combating the negative impact of insulin spikes and resistance caused by belly fat. Regular exercise interrupts the cycle of insulin resistance and easy weight gain that accompany those inches around the middle. More good news, the first few pounds are the most important (one reason focusing on just a ten percent weight loss has so many health benefits). As you lose weight, you are more likely to lose visceral fat from your mid-section (that’s the dangerous fat that surrounds your internal organs). This results in reduced health risks and a smaller waistline. While gender and genetics contribute to carrying weight around your mid-section, controllable lifestyle factors are also major contributors. Want to jump start your weight loss? Focus on three major areas: diet, exercise, and stress. Here’s how. If you’re fighting belly fat, there is more to weight loss than calories in/calories out. Your diet should focus on reducing spikes in insulin by providing steady energy through plenty of protein, as well as healthy fats and carbohydrates. Base your diet on protein and vegetables for the most nutrient dense sources of the nutrition. This will help you to maintain muscle during weight loss and provide antioxidants to assist in recovery from your workouts. Sugar and alcohol are major contributors to blood sugar spikes, so it’s important to limit them for more reasons than just their empty calories. Low and moderate glycemic index fruits such as berries or grapefruit provide a pre- or post- workout energy boost that won’t crash your blood sugar. And finally, remember to include some fat in your diet. As you cut out the simple carbs, you’ll need it to feel full and for the essential support it provides to your hormonal and neuromuscular function. Try to include a small amount of fat and protein every time you eat. Base your diet on protein and vegetables for the most nutrient dense sources of the nutrition. Lose belly fat with interval workouts and strength training for a one-two combo! So what are the most effective workouts? To control weight gain, simply introducing daily activity most days of the week is effective. To blast belly fat further, interval workouts combined with strength training are your best weapons. These workouts can be based on your own abilities, using low or no impact cardio equipment, bodyweight or resistance bands. You might also be wondering if ab exercises reduce belly fat. The answer is both yes and no. Exercise doesn’t “spot reduce”, so you won’t lose fat from your tummy by doing a lot of sit ups. However, focusing on a strong core will keep you stronger and more stable in your workouts. This means you can train harder without injury. It will also develop the muscles of your mid-section so that if your body fat level reduces sufficiently, those muscles will become visible. Uncontrolled stress, and its associated hormone, cortisol, make losing belly fat hard. And they even increase your appetite and contribute to unstable blood sugar levels. By targeting exercise and diet, you’ve already done a great deal to reduce the physiological impact of stress on your body. We often can’t completely eliminate the stress that comes from work, family, and other obligations. However, mitigating that impact through getting enough sleep and caring for our health will help to ensure that stress doesn’t lead to health problems. Think getting enough sleep is overrated? Consider this, not getting enough sleep provides a double whammy when it comes to diet. Not only do you become hungrier, you also become more likely to make bad choices when it comes to your diet. Sleep is also essential as you recover from your workouts. Clear your schedule, turn off your electronics, and get some zzz’s. Reduce stress by getting enough sleep. This in turn affects your diet and your motivation to workout. Losing belly fat requires a long term commitment. Nonetheless, a few important changes will quickly leave you looking and feeling better. If you’ve only got a few pounds to lose, the diet and workout strategies above can help you lose belly fat in as little as a week. If you’re fighting a bigger battle, you’ll still feel better quickly and can expect big changes over the next six months. Your metabolism and insulin responsiveness will recover as a result of your healthy lifestyle.